This recipe is incredibly simple and easy, so it was perfect for saving me some time to put towards organizing. Spread onion on the bottom of the Crock Pot. 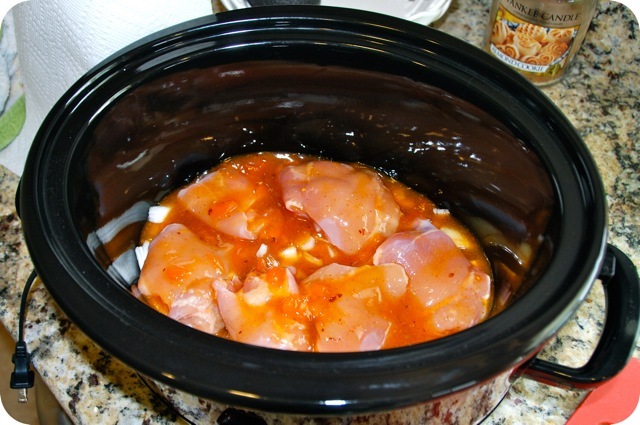 Place chicken thighs on top. Combine remaining ingredients in a small bowl and pour over chicken. Cover and cook on low 6 hours or high 4 hours. 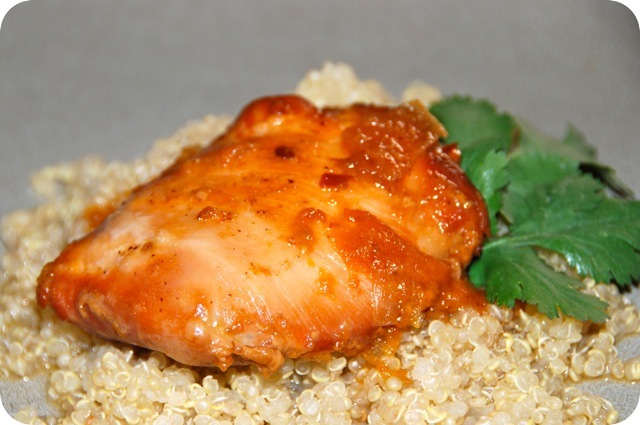 Serve with rice, quinoa, or anything to soak up the delicious sauce! 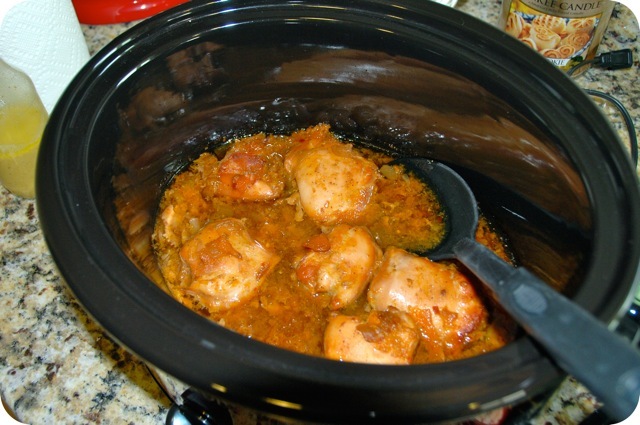 Crock Pot chicken is the BEST! 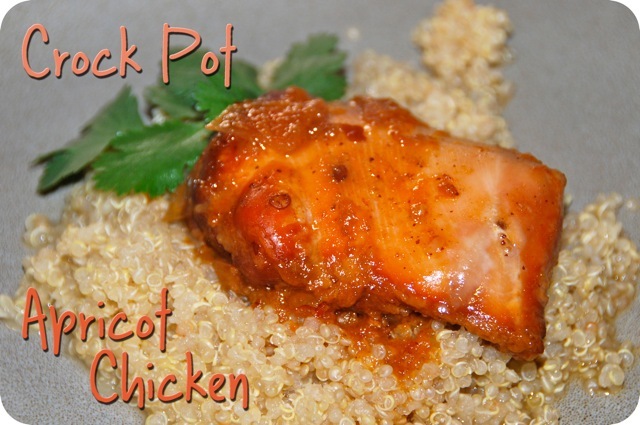 Crock Pots do something magical to chicken (all meat, really). It’s so tender and falling apart. The sweet flavor in this, with just the slightest hint of kick, was also really good. It would be interesting to make this using different flavors… maybe some orange marmalade or pomegranate jelly, and see how it turns out! Since Easter is just a few days away, here are a couple Easter recipes to try out! Robin’s Egg Stuffed Krispie Treats – How adorable are these? They’re an easy and super fun treat for the kiddies this year! Caesar Deviled Eggs – Put all those leftover dyed eggs to use. These deviled eggs are different (and WAY better) than traditional ones! I have made this try adding celery and sweet and sour sauce instead of the apricot preserves… YUM!